What does fall of the Berlin Wall mean? 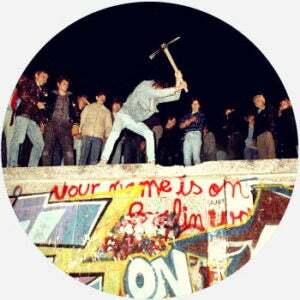 The expression fall of the Berlin Wall refers to the formal opening of the border between Soviet-controlled, Communist East Berlin and Western-occupied West Berlin in 1989. The rise of good governance as a focus for development reform can be linked to the fall of the Berlin Wall, the end of the Cold War, and the resulting (temporary) triumphalism of the dominant Western liberal democratic powers. What I have in mind is the long decade that stretched from the fall of the Berlin Wall on 9 November 1989 to the fall of the twin towers on 11 September 2001. The beloved comedy-drama ‘Good Bye Lenin!’ tells the story of a young man who desperately recreates life in the GDR for his mother, a staunch believer in the Communist cause, who has just woken up from a coma during which she completely missed the fall of the Berlin Wall. Where does fall of the Berlin Wall come from? After its defeat in World War II, East Germany was occupied by Soviet forces and West Germany by Allied forces under the Potsdam Agreement. The city of Berlin was split between the two coalitions. Tensions became increasingly apparent between the Soviet Union (the Eastern bloc) and the United States and its European NATO allies (the Western bloc) in the following years. This was known as the Cold War—not a formally declared war, but an intense state of ideological conflict, diplomatic tension, and an arms race that would see the creation of increasingly deadly nuclear weapons. With Berlin at its center, East and West Germany served as a stark symbol of the divide between the Eastern and Western blocs. 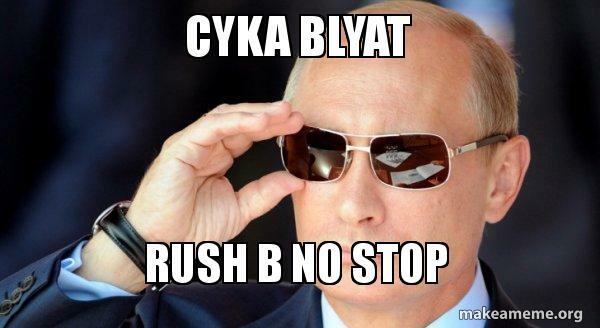 The Soviet Union attempted to eject the allies, and tried to stem the flow of refugees that frequently fled a harsh, stark Communist existence to West Germany. Before the wall, East and West Berliners could move across the border freely to visit, shop, and work. But in 1961, the division between East and West Berlin was made real in a way it hadn’t been before with East Germany’s erection of a wall enclosing West Berlin. The first version of the Berlin Wall was made of barbed wire and cinder blocks, materials later replaced with concrete walls, towering up to 15-feet high in some areas and capped with barbed wire. At its longest, the Berlin wall covered over 100 miles. Three checkpoints connected the two cities, and border crossings were rare. 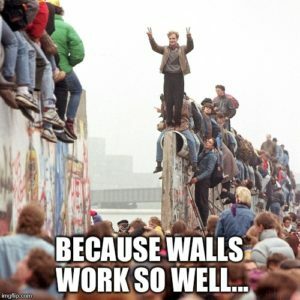 Thousands of people had left East Germany that year, but after the wall, only a few could manage it thanks to the enormous, difficult-to-scale wall, dogs, and guards trained to shoot on sight. On November 9, 1989, a botched announcement about travel led some to believe the border was freely open. Overwhelmed by the large crowds, the guards started letting people through. Thousands of East Berliners entered West Berlin, celebrating their newfound freedom and opportunity. Some began to chip away at the wall, an activity that would continue for some months until the wall was formally demolished. Though East and West Germany were formally reunified on October 3, 1990, the fall of the Berlin Wall served as a symbol of the country’s unification—and, for many, the end of communism in Eastern Europe and the Cold War. Who uses fall of the Berlin Wall?